This week, we meet: Tom Hutton MTB Guiding. 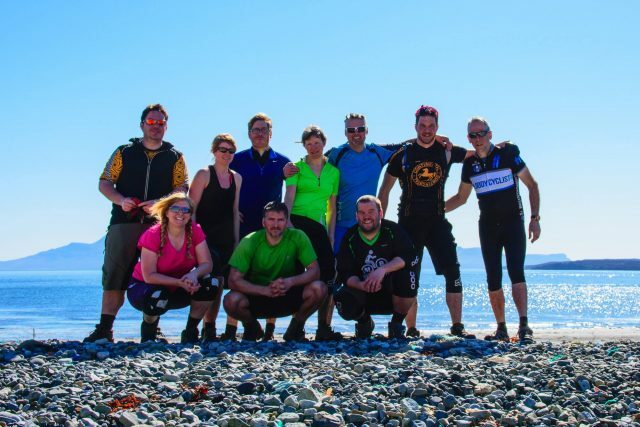 Tom Hutton MTB Guiding is a mountain bike guiding company that runs small and exclusive mountain bike holidays and weekend breaks in Wales, the Lake District and Scotland. The format of our trips varies according to destination but we always aim to combine the best riding with good food and drink and plenty of socialising so it really feels like a ‘mates’ trip. Who are the “Tom Hutton” team? There’s just the 2 of us, myself (Tom) and partner, Steph; though we sometimes employ other guides. Where are your trips based? The main trips we run are in the Scottish Highlands, from the Cairngorms to Skye via Torridon; the Ambleside area of the Lake District and Snowdonia both north, around Snowdon, and south, closer to Coed y Brenin. But we are small and flexible so like to organise odd one-offs too. What’s your background and where does all this trail knowledge come from? 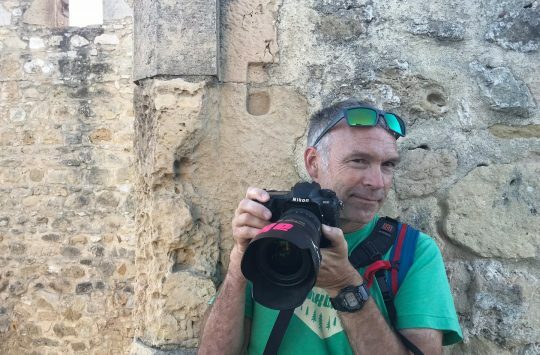 We’ve spent nearly 15 years riding all over the country researching trails for magazines and guidebooks so the idea behind the business was to share this knowledge and some of the amazing experiences we’ve had with others. 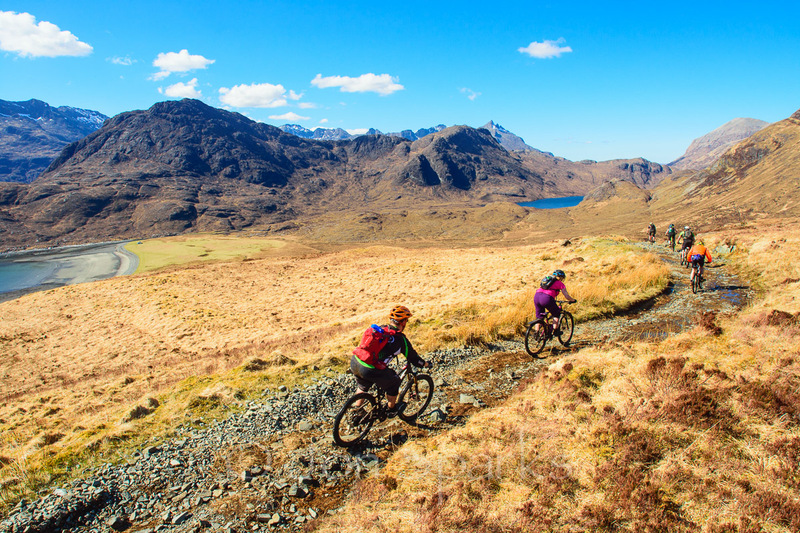 Which of your mountain bike holidays and weekends are selling like the proverbial? For 2016, it’s been the Lake District. In 2015, it was Scotland. The riding is so good in all the places we visit, we don’t mind where we work. Why do you think people prefer the Lakes and Scotland? I think maybe there’s a couple of reasons that the Lakes has become so popular. Firstly, I think our trip is spot-on: exclusive use of a remote lodge in the perfect spot to make the most of the riding, great chef, awesome riding. I also think that it’s an area that people from further away really want to visit and ride. Scotland has the reputation as mtb mecca, so great for anyone wanting an ‘Alps’ experience at home. 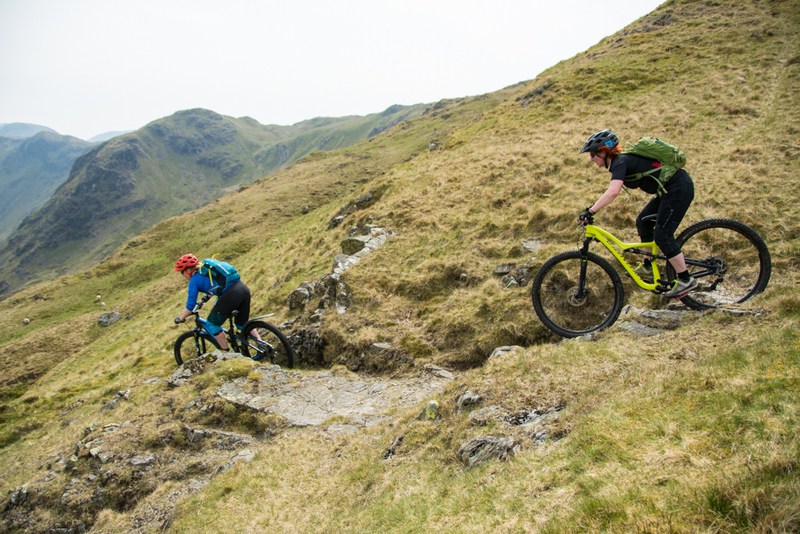 Wales shouldn’t be overlooked though it’s easier to get to for most of the population, yet still offers the big mountain experience and some absolutely awesome riding – Snowdon and Pont Scethin should be on everybody’s wishlist. If you could just ride in one place where would it be? What’s your current steed of choice? We both ride carbon-framed Marin Mount Visions. Great all-rounders that cope with everywhere we ride. I”ll keep my embarrassment to a minimum and just say I once fell off the stage in a school play.Steph’s big secret is she’s a closet roadie. Of all your trips, which is the one ST readers should know about? Can I say 2? 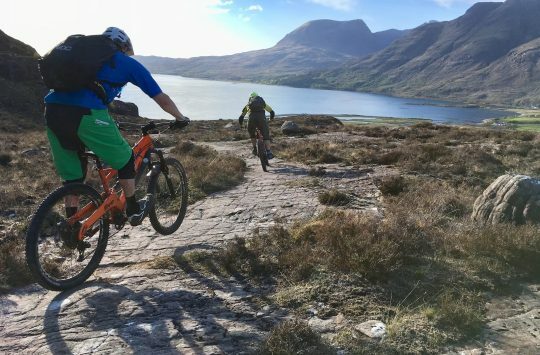 In October we’re running a long weekend in Torridon and the West Coast, and we’re also running a weeklong, road trip across the Highlands from the Cairngorms to Skye, riding different classic trails every day. We’ve run both before and they’ve been awesome. Any super special offers for Singletrack readers? Yes, we offer 5% off the trip price per person on any of our trips, and a massive 50% off the trip price of a group leader who organises a group booking of 4 or more. How do we keep in touch and learn more? 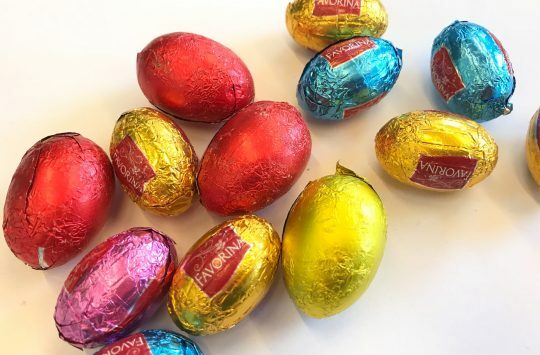 You can follow us on Facebook or Twitter, and of course there is our website too. Many of my favourite routes have come from Tom’s maps in magazines, Tilberthwaite and High Arnside is one of them. Walks as well from when Trail magazine was my monthly fix. Must look at doing a skills day with him.